Additional mental health services are coming to local schools. The Humboldt County Department of Health and Human Services announced today that $7.5 million in grant funding will pour into the county over the next four years to provide additional mental health services in local schools. Coupled with two additional grants, that means more than $9 million in mental health funding will be coming to Humboldt County. The $7.5 million grant, which DHHS received via a partnership with the Humboldt County Office of Education, will fund 22 positions, including mental health clinicians, case managers and support personnel. Six of those will be employed by the county, while the other 15 will be employed school districts throughout the county. All will be stationed in local schools, according to a press release. The other $1.7 million in grant funds will go toward hiring additional staff for the county’s Mobile Response Team, which serves adults, and to provide additional mental health serves to young people up to 21 years old throughout the county. A $7.5 million grant over the next four years will make it possible for children and youth throughout Humboldt County to receive much needed mental health services at their schools. This brings to more than $9 million, the amount of grant funding awarded to the Humboldt County Department of Health & Human Services (DHHS) and its partners in little over a month. All three awards are Mental Health Services Oversight and Accountability Commission’s SB 82 Triage personnel grants and include nearly $1 million to hire more Mobile Response Team (MRT) staff who serve adults and almost $730,000 additional funding for Children & Family Services MRT staff. 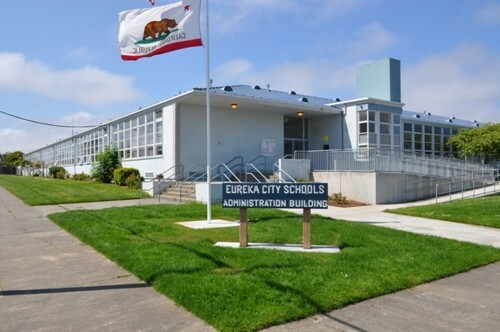 The largest grant, a partnership between the Humboldt County Office of Education and DHHS Mental Health, will provide children with mental health services in school. In a county spanning more than 4,000 square miles, accessing services can be difficult for people in outlying areas. The grant will fund 22 positions, including mental health clinicians, case managers and other support personnel. Six clinicians and a supervising clinician will be employed by DHHS, the remaining 15 people will be employed by local school districts throughout the county. Both county and school staff will be stationed in schools. In addition, Mental Health’s Children & Family Services MRT grant will provide mental health services to young people from 0 to 21 years old in communities throughout the county. MRT personnel will be located almost entirely in the field, serving locations such as schools, DHHS’s Transition-Age Youth Division’s drop-in center, hospital emergency departments, tribal communities, the probation department and the locked juvenile facility. Mental Health Director Emi Botzler-Rodgers said these three grants will make it possible to better respond to, support and provide services to people experiencing mental health challenges throughout the community.